Inflatable Party Magic LLC is your Best Choice for bounce house, water slide, obstacle course, tent, table, chair, and party & event rentals in Fort Worth, Tx. If you are looking for the best quality and stand-out party and event rental equipment, you have the rental company to best meet your needs. Let Inflatable Party Magic carefully and professionally take care of your needs and show you why we rated number one in the Fort Worth area for quality and customer service. Located near Fort Worth, our business is able to service you within our delivery area for a small delivery fee between $15.00 to $40.00 depending on zip code. Fort Worth is one of the largest areas that we service including residential customers, churches, schools, daycares, and businesses. We have serviced many churches and daycares for years in Fort Worth, Texas and have built many lasting relationships. Fort Worth is known for it's vast amount shopping, outdoor recreation areas and entertainment. Will Roger's Coliseum is home to one of the largest entertainment venues in the city hosting differing events all year long. There are an unlimited number of places to have parties and special events. Fort Worth is the reason people say everything is bigger in Texas! The Fort Worth Parks and Recreation Department offers over 200 public parks and places to have parties. We have had the privilege of setting up at many of their parks and facilities. Trinity Park is one of our favorites. If you are considering having your party at one of the city parks, do not forget to contact the parks and recreation department to reserve your spot and time and take care of any paperwork they may have for you. You can connect to their website and reserve your park space online. Inflatable Party Magic has been in business for over 17 years and we strive to be the best at what we do. We are fully insured and are state inspected annually for safety and as required by Texas State law. Our staff are fully trained and held to the highest standards and accountability in the industry. Our mission for Fort Worth is simple; we want to provide the best quality equipment at the lowest prices we can offer them while maintaining a high level of customer service and satisfaction. Give our friendly and professional staff an opportunity to make sure that your party and event rentals are delivered on time and setup safely for a party you will always remember. If you want to stand out from the crowd, we offer unique inflatables with many different themes to choose from. 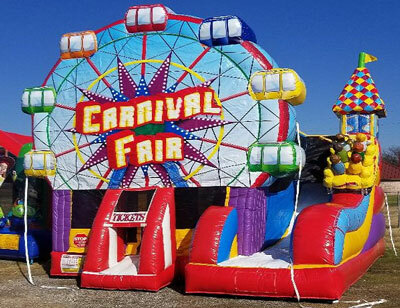 Our business offers a great selection of bounce houses, inflatable waterslides, bounce house combos with slides, toddler inflatables, obstacle courses, interactive inflatables, Create A Bear Parties, tents, tables, chairs, casino games, carnival and backyard games, dunk tanks, frozen drink/margarita machines, and food machines. 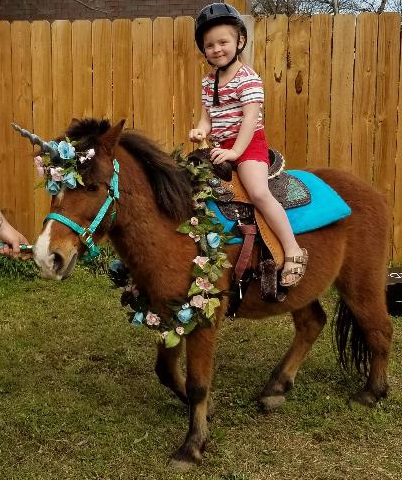 M&M Pony Express is our sister company and can provide pony and unicorn rides for your next event. Party packages are also offered so that you can save on multiple games and items. Party Magic can professionally handle all of your rental equipment needs. Check out our complete inventory to see how we can make your next event a success. Inflatable Party Magic LLC is proud to be Fort Worth's #1 party and event rental company. Inflatable Party Magic offers Fort Worth a complete line of licensed and themed bounce houses as well as bounce house combos with slides, you will find everything you are looking for in our inventory. Themed inflatables are available in the most of the popular and current such as Disney Princess, Minion, Mickey Mouse, Justice League, Unicorns, Paw Patrol, Frozen, Batman, Disney Cars, Football, Sports, Carnival, Circus and many more. Bounce houses are a great addition to any size event including small backyard parties, large school, or corporate events. 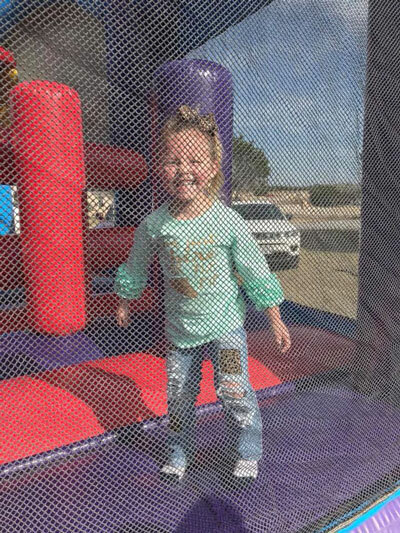 In Fort Worth, Bounce House Combos are becoming the most popular inflatable for kids since they incorporate a standard bounce house as well as a slide and other elements such as small obstacles, climbing walls, and basketball goals all within one Inflatable. Your kids will not be bored with a bounce house combo as they keep them busy for hours. Toddler combos are a huge hit with toddlers and small children. Regular bounce houses only offer a jumping experience, which can be a little frightening for toddlers. Sometimes it is just the sound of the bounce house blower and the roof above them can make them feel trapped and seem a overwhelming. Toddler bounce combos have an open top so that little ones can see the light above them and not feel so closed in. The noise level is much lower as well since there is not a top and the sound escapes. Toddler combos offer bouncing throughout them, but the bouncing space is broken up with interactive popup characters and obstacles throughout. They have a small slide and climbing wall that are slightly slanted and positioned in a way that makes it very easy for a toddler to climb up and slide without assistance. Inflatable Party Magic LLC Bounce House and Party Rentals offers Fort Worth Residents a great selection of inflatable water slides. The slides that we offer range from slip-n-slide water slides, Bounce House Combos with Water slides to all sizes of vertical water slides. Our inventory includes slides for all ages so we can meet you water slide needs no matter what age or size you are looking to entertain. Inflatable Party Magic water slides range from 10ft. tall to 24 ft tall for small kids, teens, and even adults. You will not find a better selection anywhere else in the Fort Worth or DFW area. Interactives offer exactly what you want in the way of inflatables that challenge all different age levels and are a great way to get teens up, moving, and having fun. 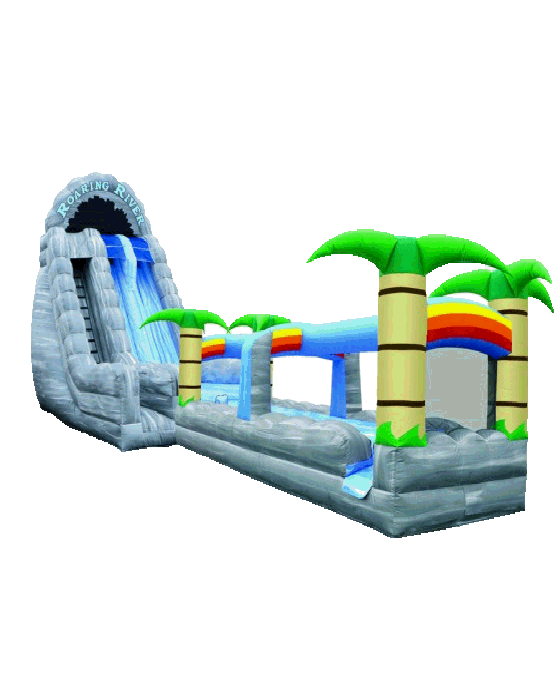 Interactive inflatables include the ever-popular Inflatable Obstacle Courses in which two players race through different challenges, climbing walls, and finally slide to the finish. Bungee inflatables such as Hungry Hippo Chow Down, Rapid Fire, and Tugga Touchdown have become huge for school and church events. The interactive category also includes games such as Soccer Darts, Inflatable football toss, field goal kicking, baseball, and more. Interactive inflatable rentals have become very popular in Fort Worth for schools, colleges, churches, corporate events, and even backyard parties. They have become the staple to after prom and project graduation celebrations. 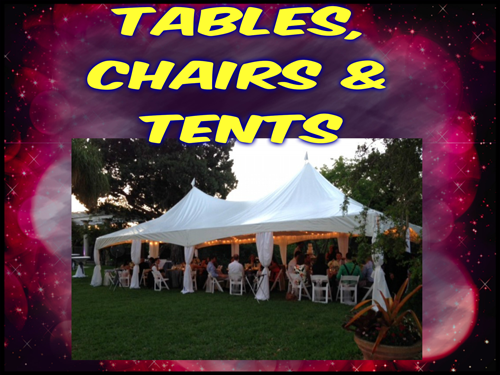 Fort Worth tent, table and chair are made easy with Inflatable Party Magic LLC. Our tents are very high quality high peak commercial tents. Cathedral window style sidewalls can be added to your tent to enhance the appearance or provide added shelter from the weather. Table and chair rentals are high quality rentals. Folding chairs are available in white and black. White resin garden chairs are offered for your upscale events and weddings. Tables are offered in 6ft rectangle, 8ft. rectangular, 48inch round, and 60inch round. Rectangular tables are stocked in white or black and round tables are stocked in white only. Inflatable Party Magic offers a creative party idea with Create a Bear parties that can be done in your own home or private event location. We are one of the few companies offering you and your children the opportunity to make your own stuffed friend in the comfort of your own surroundings. This is the solution for birthday parties, church, school, or daycare events. Sometimes kids want just want something different to do and we have provided that option with Create A Bear. Your kids will fall in love with TED, our Bear that helps your kiddos make their new best friend. No need to buy expensive party favors with Create A Bear. Each child will take their new best friends and a back pack to carry him/her in home with them. Carnival and backyard games are the perfect addition to make your party exciting. Inflatable Party Magic has a great selection of carnival and backyard games to make your party the best. There are a great selection of games available to choose from and add to your rental selections. 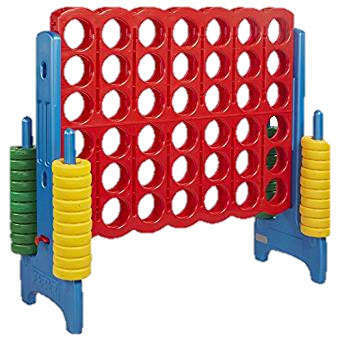 Games available include giant connect 4, giant Jenga, giant operation, giant ring toss, giant checkers, corn hole, flying froggy, penguin fling, ring the horn on the unicorn, yard pong, and more. Carnival and backyard party games are not affected by the weather as they can go indoors and not interrupt your party plans if the weather decides not the cooperate with your party plans. Inflatable Party Magic offers a dunk tank for your event needs. They are nostalgic and the perfect addition to any school, community, corporate or church function. You can use them for fundraising opportunities also. 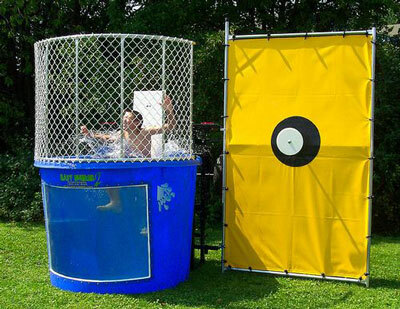 Who doesn't love a dunk tank and the opportunity to get back at friend, co-worker or boss? There is not a better way than to show off your throwing arm while submerging them into cold water at the same time. Our dunk tanks feature a safety window so you can see who or what is in the water at all times and not have to worry about the well-being of your participants during your event. Book our dunk tank for you next event in Fort Worth, Texas soon! M&M Pony Express LLC is providing pony rides in Fort Worth. The owners of Inflatable Party Magic LLC are proud to present their newest company and family friendly entertainment. We offer different ways to rent ponies including lead-in ponies and up to four ponies on a carousel. We can even create a magical unicorn to make your little girls dreams come true. We have a white pony, but can make a unicorn out of any pony we have. Ponies are just special and create unique bonding opportunity for both pony and child. What child doesn't want to love on a pony or ride a unicorn? Let M&M Pony Express LLC help make your next event a special memory. Inflatable Party Magic LLC Bounce House and Party Rentals delivers to many other Texas Cities including Cleburne, Alvarado, Burleson, Midlothian, Maypearl, Crowley, Godley, Joshua, Lillian, Granbury, Glen Rose, Acton, Tolar, Lipan, Aledo, Rio Vista, Grandview, Venus, Waxahachie, Red Oak, Whitney, Covington, Itasca, Blum, Hillsboro, Kopperl, Morgan, Arlington, Mansfield, Kennedale, Benbrook, Grand Prairie, Cedar Hill, Weatherford, Cresson, Rendon, Briar Oaks, River Oaks, and other cities in the following counties: Johnson County, Hill County, Ellis County, Hood County, Somervell County, Bosque County, and Tarrant County. For a map and complete listing of our delivery area outside of Fort Worth as well as pricing, visit our delivery page. Thank you for taking the time to view our page! 817-800-8618 or visit our complete website at www.inflatablepartymagictx.com.